Easytrim Reveals’ core competency is the development of aluminum trims and ACM panel systems. They offer a wide range of aluminum products that are modern, affordable, and durable and reflect the character of their customers and raving fans. They have a beautiful range of products that will help you express your lifestyle through your stunning, contemporary dream home. Easytrim Reveals is unlike any other building material manufacturer and provider in existence today. Easytrim Reveals LAP includes 8 profiles with 3/4″ openings that are used with 5/16″ fiber cement planks or 3/4″ tongue and groove natural wood siding. These profiles are 100% caulk and maintenance free. The perfect choice for the homeowner that wants enduring performance and contemporary style. Easytrim Reveals Panel trims provide 18 profiles for you to demonstrate your personal flair. Modern and contemporary homes have distinct, clean architectural lines and this is where our 1/2″ tabs and 1/2″ reveals truly stand out from the crowd. Feeling adventurous and itching to dazzle? Easytrim Reveals has created 5 Transition profiles just for you. 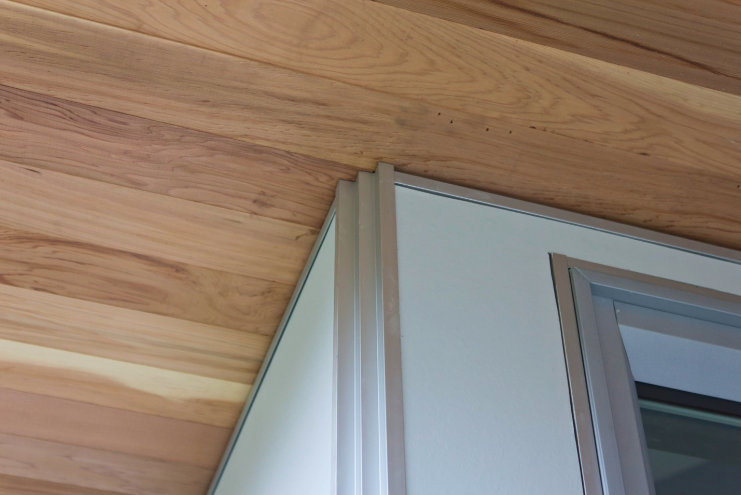 Our Transition trims have 5/16″ openings on one side and 3/4″ openings on the other so you can transition between plank fiber cement (or natural wood) products to panels at your corners and on flat wall surfaces. Now you have all 31 profiles at your service to create a true one-of-a-kind masterpiece. From starter home to multi-million dollar sanctuary, Easytrim Reveals has the products and price points that reflect your curated good taste and help make your modern home vision a fascinating reality. Aluminum trims for use with 5/16″ fiber cement panels and 3/4″ trims for lapped 5/16″ fiber cement plank and 3/4″ natural wood products.